New Delhi : The World Economic Forum is holding its 33rd India Economic Summit in partnership with the Confederation of Indian Industry (CII) on 4-6 October in New Delhi. The summit will host 650 leaders from 35 countries, including 370 business leaders, 20 senior public figures and leading representatives of civil society, arts and culture, science and academia. The theme of the summit is Creating Indian Narratives on Global Challenges. Climate change, India’s cultural renaissance, infrastructure, gender parity, tourism, education and skills are prominently featured in the programme. The recent economic reforms, including demonetization and the goods and services tax, will be addressed in a special plenary session. The summit will be co-chaired by Ajay S. Banga,President and Chief Executive Officer, Mastercard, USA; Dipali Goenka, Chief Executive Officer and Joint Managing Director, Welspun India, India; Piyush Goyal, Minister of Railways and Coal of India; Smriti Zubin Irani, Minister of Textiles, Information and Broadcasting of India; Malvika Iyer, Member, Working Group on Youth and Gender Equality, United Nations Inter-Agency Network on Youth Development, New York; Karan Johar, Head, Dharma Productions, India; and Sunil Bharti Mittal, Chairman, Bharti Enterprises, India. Highlighting the commitment of the Government of India to the summit, senior cabinet members will participate, including Arun Jaitley, Minister of Finance and Corporate Affairs; Smriti Zubin Irani, Minister of Textiles, Information and Broadcasting; Piyush Goyal, Minister of Railways and Coal; Suresh Prabhakar Prabhu, Minister of Commerce and Industry; Jagat Prakash Nadda, Minister of Health and Family Welfare; Dharmendra Pradhan, Minister of Skill Development, Entrepreneurship, Petroleum and Natural Gas; Nitin Jairam Gadkari, Minister of Road Transport, Highways, Shipping, Water Resources, River Development and Ganga Rejuvenation; Harsimrat Kaur Badal, Minister of Food Processing Industries; Jayant Sinha, Minister of State for Civil Aviation; and Hardeep Singh Puri, Minister of State (IC) for Housing and Urban Affairs. With the first-ever Open Forum India, more than 35 livestreamed sessions and over 130 journalists, the India Economic Summit offers unprecedented opportunities for the general public to follow the discussion and participate in the summit. The Open Forum India session, entitled My India @2022, will focus on the country’s unique window of opportunity to convert its demographic advantage into a dividend. With two-thirds of India’s 1.3 billion population under the age of 35, the session explores how the country can create a future to which young people can aspire. Open Forum India was organized in partnership with the Department of Management Studies at the Indian Institute of Technology Delhi (IIT Delhi). It will take place on Wednesday 4 October from 14.30 to 16.00 at the IIT Delhi Campus. The Schwab Foundation for Social Entrepreneurship in partnership with the Jubilant Bhartia Foundation will announce the winner of the 2017 India Social Entrepreneur of the Year awards on 4 October. Social entrepreneurs fill a unique role in modern economies, applying innovative thinking and disruptive technology to meet demands that traditional businesses or governments cannot serve. Sixteen of the world’s leading social enterprises will be represented at the India Economic Summit, filling critical niches in healthcare, education, human and labour rights, water and sanitation. 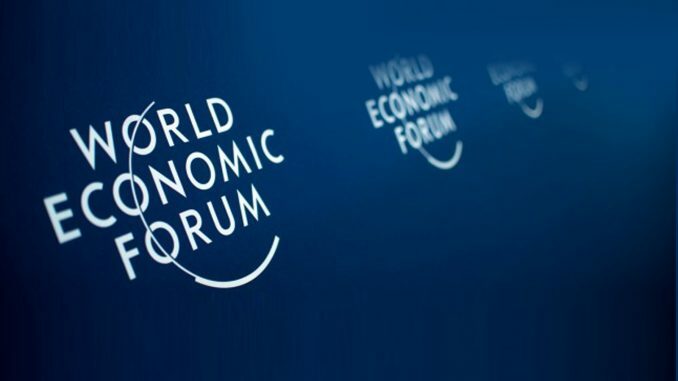 The World Economic Forum is also committed to giving a voice to the next generation of leaders and has invited a record number of 51 Global Shapers to the India Economic Summit. They will be joined by over 30 Young Global Leaders.